Obituary for Michael Scott | McCombs Funeral Home Inc.
Michael William Scott, Sr, age 68, of Jackson, Missouri, passed away Tuesday, August 14, 2018 at Saint Francis Medical Center in Cape Girardeau, Missouri, surrounded by his loving family. He joined the military after graduation and served in the United States Army where he retired as Sergeant 1st Class. On April 29, 1972 in Granite City, Illinois, Mike was married to Mary Elizabeth Baxter, who preceded him in death July 30, 2017 after a battle with breast cancer. They had shared 45 years of marriage together at the time of Mary’s death. Mike is survived by his children, Cheri Foster and husband, Timothy, Michael Scott, Jr and fiancé Kim, Christopher Scott and wife, LeighAnn, NiJeatte Stout and husband, James David, Katreen Scott and James Scott. He is also survived by 22 grandchildren; Steven A. Nolkemper, Brandon M. Scott, Cassidie D. Svhela, Destiney M. Scott, Brittany E.K. Foster, Ashlee M. Legrand, Hannah M. Stout, Hunter B. Scott, Dalton T. Scott, Meggan E.A. Stout, Breanna K.M. Foster, Faith A. Sides, Mayce R.A. Stout, Emma G. Stout, Alexzander K. Scott, Jordan C. Scott, Rebeca N. Scott, Dominic M. Scott, Kyley B.A. Stout, Kaci A. Scott, Kynten B. Stout, and Hailey M. Hollowell; seven great-grandchildren; Eli Owen Scott, Colton J.L. Robinson, Cooper B. Maloney, Waylen L. Cochran, Hayden C.L. Hernandez, Hayden Hernandez and Josie Mae Svehla. Also surviving are his brothers, Patrick Scott and wife, Glenda, Timothy Scott and wife, Joy, Kevin Scott and wife, Tammy, and Tom Scott and wife, Paula; his sisters, Kathy Scott and mate Karen Ross, and Karen Andrews and husband, Larry; his nephews, Kelly Scott, Matthew Scott, Chris Andrews, and Kevin Joseph Scott; his nieces, Kim Eppes, Tiffany Dayton, Emily Scott, Jessica Scott, Courtney Thomas and Katlynn Dunn; numerous great-nephews and great-nieces; along with many cousins and friends. Mike was preceded in death by his wife Mary, his parents, William Scott and Jeannette Scott; and two grandsons, Tyler Ryan and Spencer Scott. Mike was a devoted husband and father and a career military officer. He and Mary quickly grew their family to include 6 children and moved to various locations throughout his 21 year career with the military. During those early years, Mike became interested in sprint cars and enjoyed racing for several years, earning a few trophies here and there. He was an avid St. Louis Cardinals fan as well as a Blue’s Hockey fan, and there was no one more passionate about the rival Army / Navy football game. His license plate was a testament to that. 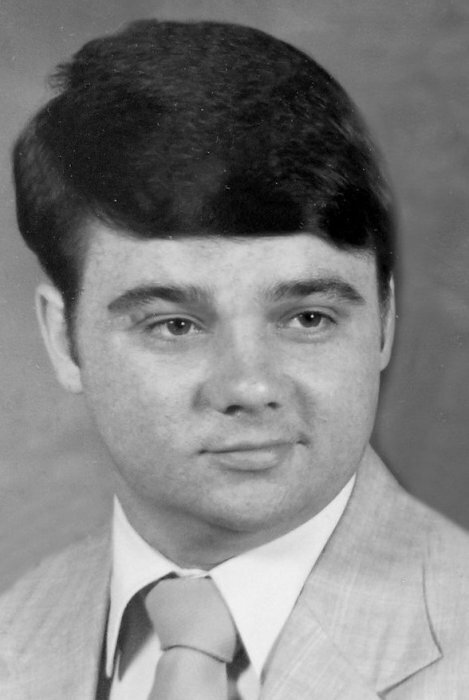 After retiring from the US Army, Mike was employed with Drury Hotels where he managed several hotel locations throughout the greater St. Louis area, and finally working at their corporate offices in Cape Girardeau, where he managed DI Supply. After working 25 years with Drury, Mike enjoyed his 2nd retirement where he and Mary enjoyed travelling and spending time with their grandchildren and great-grandchildren. In his early retirement years, Mike could finally enjoy playing golf as often as he could. Mike was a member of St. Paul Lutheran Church in Jackson, Missouri. Visitation will be held from 11:00 am to 1:00 pm and Services at 1:00 pm, Saturday, August 18, 2018 at St. Paul Lutheran Church, Jackson, Missouri. Interment and Graveside Service with Military Honors will be Sunday, August 19, at 1:00 pm at Old St. Pat’s Cemetery in Laurie, Missouri. Arrangements by McCombs Funeral Home and Hedges-Scott Funeral Home.